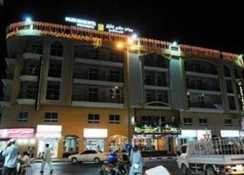 The apartment hotel is located in Deira- near Nasser Square and within walking distance to the Gold Souk and Dubai Creek. Jumeirah Beach and Dubai International Airport are approximately 5 kms away from the hotel. The apartment hotel is a brand-new- 155-unit establishment with studios and one-bedroom apartments. An ensuite bathroom with shower- bath and hairdryer features as standard. In-room amenities include a double or king-size bed- direct dial telephone- satellite/cable TV- Internet access- ironing set and a safe. The fully equipped kitchen offers a minibar- fridge- cooker- microwave and tea and coffee making facilities. 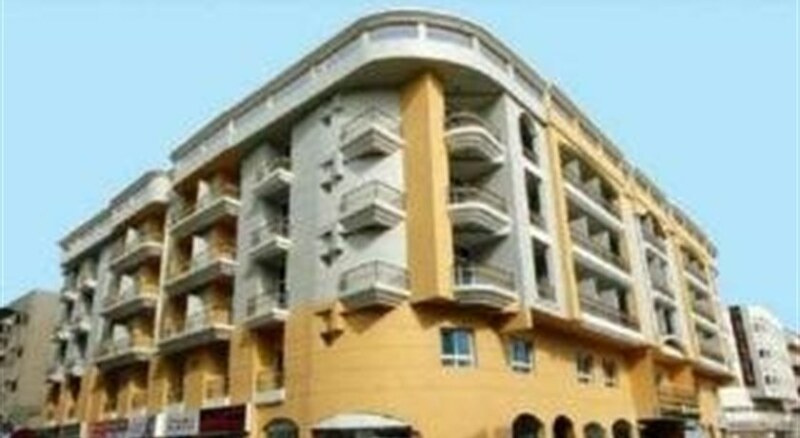 All apartments have air conditioning and a balcony or terrace. 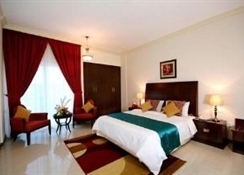 The apartment hotel offers comfortable accommodation in a prime location for a reasonable price. 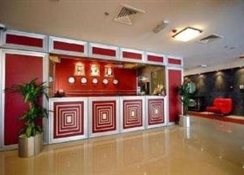 Conveniently located in Dubai, Golden Square Hotel Apartments is a great base from which to explore this vibrant city. From here, guests can enjoy easy access to all that the lively city has to offer. No less exceptional is the hotel's easy access to the city's myriad attractions and landmarks, such as Souk Al Bahar, Naif Souq Market, Al Manal Center.Golden Square Hotel Apartments also offers many facilities to enrich your stay in Dubai. A selection of top-class facilities such as free Wi-Fi in all rooms, 24-hour security, fax machine, grocery deliveries, ticket service can be enjoyed at the hotel. Guests can choose from 155 rooms, all of which exude an atmosphere of total peace and harmony. The hotel's recreational facilities, which include yoga room, fitness center, sauna, outdoor pool, spa are designed for escape and relaxation. When you are looking for comfortable and convenient accommodations in Dubai, make Golden Square Hotel Apartments your home away from home. Tastefully decorated Standard. Deluxe Studio & One-Bedroom Suites / Apartments Fully equipped modern kitchen including fridge/microwave & washing machine Shuttle service for beach & shopping malls. (subject to request/availability) 24-hrs coffee shop, reception, restaurant, housekeeping & room service Laundry & dry-cleaning service Leisure & travel assistance / WIFI high speed internet facility Rooftop swimming pool (Two swimming pools for children and adults separately) Satellite TV channels / Fully equipped gymnasium & sauna Private car parking / Safety deposit box -IDD calls. 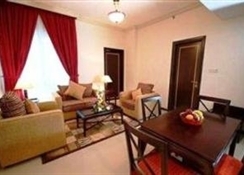 Located in the heart of Deira Middle of Naser Square and Naif Park, Walking distance from Gold Souk, Dubai Creek,Dhow Cruise and Abra Easy access to Banks, Free Zones, Ports 3-minutes walk from Metro Station 5-minutes walk from Bus Stand 5-km from Airport Terminal-I, II & III 10-minutes drive from Jumeirah & Mumzar Beach.